A beautifully illustrated edition of the thrilling, wintry Nordic tale by Neil Gaiman and Chris Riddell, who together weave a truly magical story of legend and adventure that will grip and enchant readers from beginning to end. Odd, a young Viking boy, is left fatherless following a raid. In his icy, ancient world there is no mercy for an unlucky soul with a crushed foot and no one to protect him. Fleeing to the woods, Odd stumbles upon and releases a trapped bear…and then Odd's destiny begins to change. 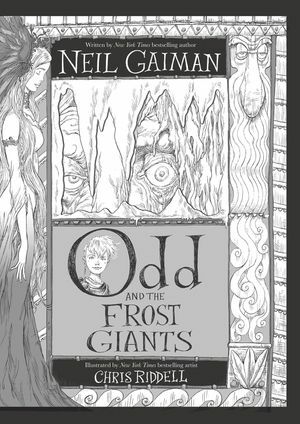 First published in 2009, Odd and the Frost Giants has been reimagined by acclaimed artist Chris Riddell in the style of his epic black-and-white artwork from New York Times bestselling The Sleeper and the Spindle, enhanced here with metallic silver ink. 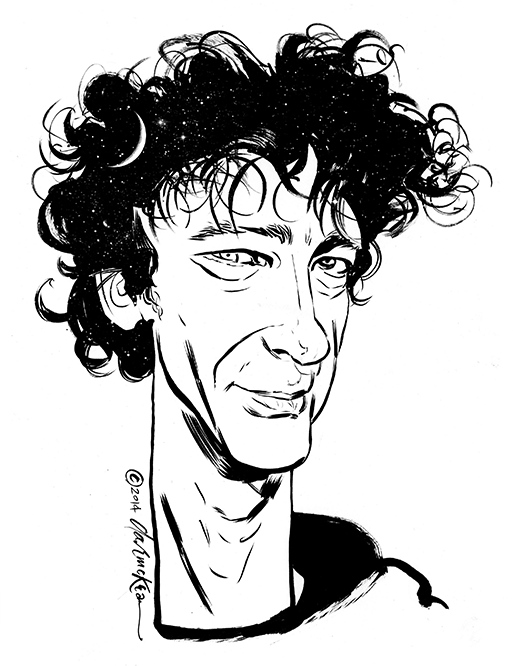 A rare tale that values brains over brawn--light, bright, and handsomely tricked out. Last year I wrote a book for the UK’s World Book Day, a new book called Odd and the Frost Giants. It is a book about an unlucky boy named Odd, with an irritating smile and a crippled leg, in a Norwegian village over a thousand years ago, and how he meets a fox, a bear, and an eagle, and winds up travelling to Asgard to rescue the Norse Gods from the Frost Giants. It was fun to write, and challenging—the best challenge was whether it would be possible to write a story that felt like a novel in 15,000 words—a quarter the length of a normal novel, but the longest that a World Book Day book could be. I was thrilled when the book became a UK bestseller. I was delighted when my American publishers, HarperChildrens, told me they wanted to publish it in the US, and elated when I learned it would be illustrated by Brett Helquist, whose art I had loved ever since I first picked upThe Bad Beginning.